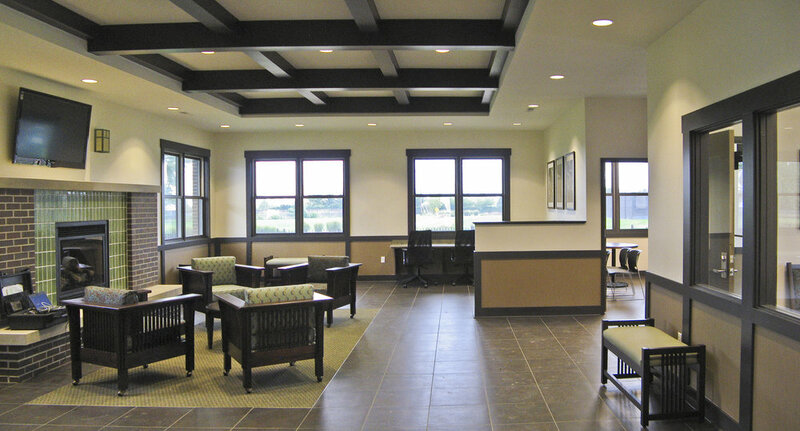 Rottmann Collier was delighted to work with Brinshore Development on this award-winning community project in Lafayette, Indiana. Chatham Square removed a poorly performing, crime-ridden section of the city, and reintroduced the original fabric of the city. Reformed city blocks were restored to a more residential feeling that fit the original street pattern. The exciting multi-family project gave renters a feeling of ownership and respect for their homes. A new community center [with access to trails and public transportation] anchors the community. A section of single-family, for-sale residences was also infused into the design. Working with Purdue University, Rottmann Collier was also able to integrate the environmentally-friendly Solar Decathlon home into a permanent location in the community.